A New Youth? provides a cross-cultural perspective on the challenges and problems posed by young people's transition to adulthood. 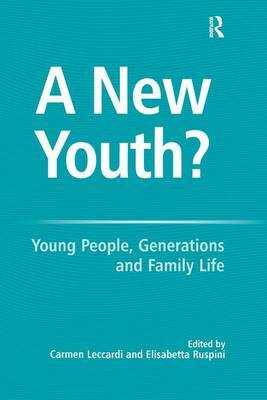 The authors address questions such as: What are the experiences of being young in different European countries? What can we learn about the differences of being young in non-European countries? Are young people developing new attitudes towards society? What are the risks associated with the transition of youth to adulthood? Can we identify new attitudes about citizenship? On a more general level, are there experiences and new social meanings associated with youth? The volume is comparative between various European and non-European countries in order to identify the emerging models of transition. These characteristics are connected with broader social, political and cultural changes: changes related to extended education, increasing women's participation in the labour market, changing welfare regimes, as well as changes in political regimes and in the representation and construction of individual identities and biographies, towards an increasing individualization. The work offers critical reflections in the realm of sociology of youth by providing broader understandings of the term 'youth'. The detailed analysis of new forms of marginality and social exclusion among young people offers valuable insight for policy development and political debate.